This instructional video provides step-by-step guidance for casting for DAFOs. 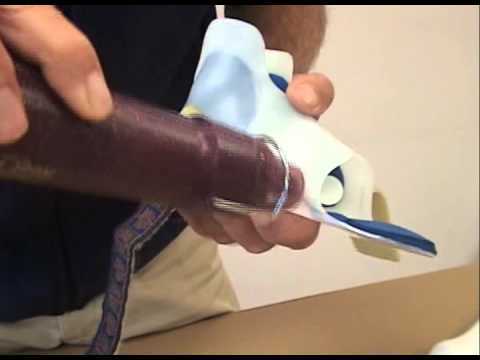 This video shows how to make a cast in preparation for ordering custom DAFOs. The shape you capture in the cast will be used to fabricate a DAFO -- a good cast is a critical component for superior fit and function of the finished orthosis. 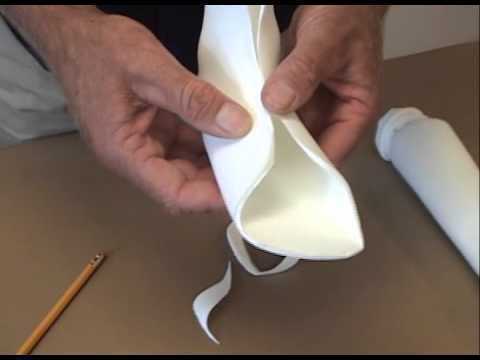 This how-to video shows the process of relieving boney prominences by heating and pushing out, a common field adjustment. It also includes a brief tool explanation. This how-to video shows the process of adjusting the distal trimlines. This how-to video shows the process of flaring the brace at the 5th met head, a common field adjustment. 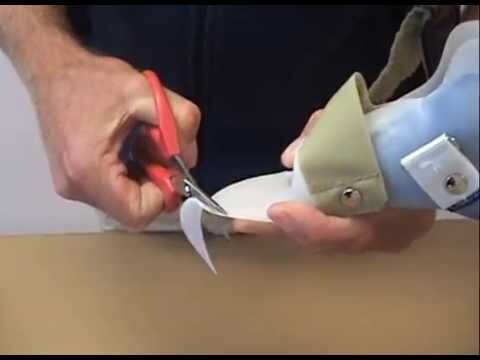 This instructional video shows how to trim a shoe insert for fit within the shoe. This how-to video narrated by Cindy Diener, CPO shows the process of cutting a DAFO 3 down to a DAFO 4 to test a lower level of support on a patient before ordering new braces. In this fast-paced, fun video, we show how easy it is to get the right size Fast Fit Bug to order by measuring the insole of a properly fitting shoe. 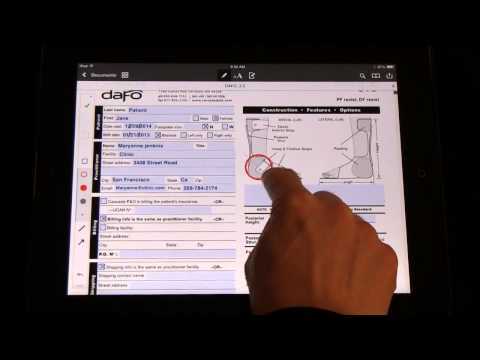 This instructional video provides guidance for using an iPad tablet to fill out a Cascade Dafo order form. This how-to video shows the process of cutting a window at the navicular to relieve pressure. Published in the July 2008 edition of PT Products. This instructional video (no audio) provides step-by-step guidance for donning the DAFO® 9 night-stretching orthosis. This how-to video shows the process of trimming the toe shelf on a DAFO. This instructional narrated video provides guidance for rehearsing the final corrected position you'd like to capture in the cast, prior to starting the casting process for custom-fabricated DAFOs. This how-to video shows the process of adjusting distal trimlines on a Softy liner. 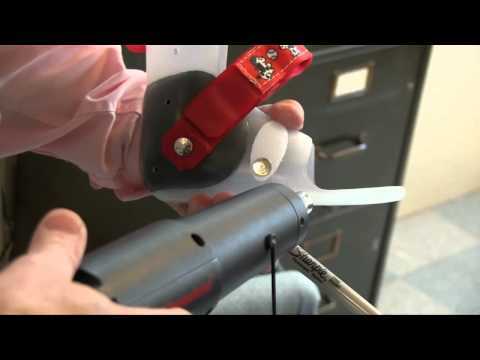 This how-to video shows the process of flaring the proximal trimlines on a DAFO 4. 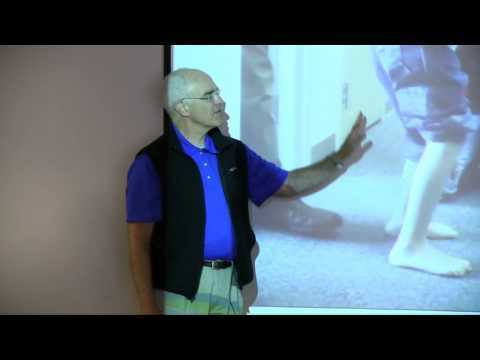 In this educational video, Cascade Dafo owner/founder Don Buethorn, CPO, talks about assessing range and level of voluntary control in patients who exhibit crouching/excess dorsiflexion. Includes discussion of various Cascade Dafo brace styles. This instructional video provides guidance for using the paper sizing jig to help order the correct size for Cascade Dafo's prefabricated Fast Fit products. The Fast Fit Printable Sizing Jig can be found by copying this link into your browser: cascadedafo.com/library/documents/fast-fit-printable-sizing-jig. You can also find it by typing "sizing jig" into the search box. Cindy Diener, CPO, narrates this instructional video, showing common adjustments made to a DAFO at the inital patient fitting. 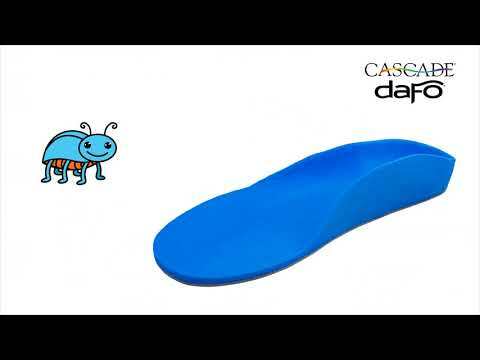 This instructional video provides tips to determine the correct size for Cascade Dafo's prefabricated Fast Fit products by tracing the child's foot. 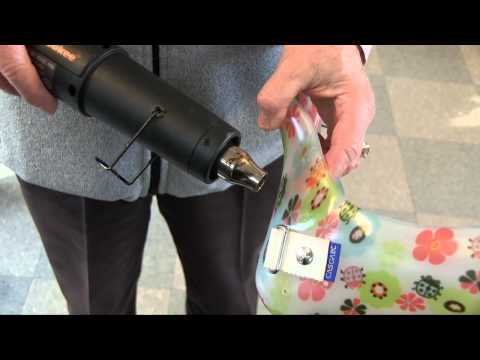 In this instructional video Cindy Diener, CPO, shows how she trims and places the toe rise pad on a DAFO when in the field (when acess to an orthotics lab is not available). 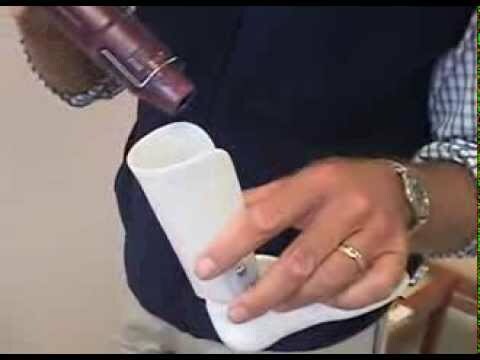 This how-to video shows the process of flaring the proximal trimline on a DAFO Tami2. 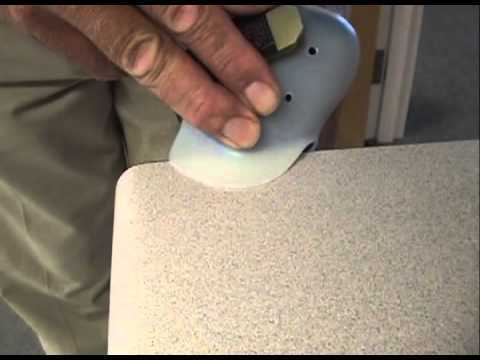 This instructional video, narrated by Cindy Diener, CPO, shows step-by-step tips for trimming and placing the toe rise pad on a DAFO, when access to the tools in a typical orthotics lab is available. This instructional video provides tips to determine if your Fast Fit shoe insert is too large. 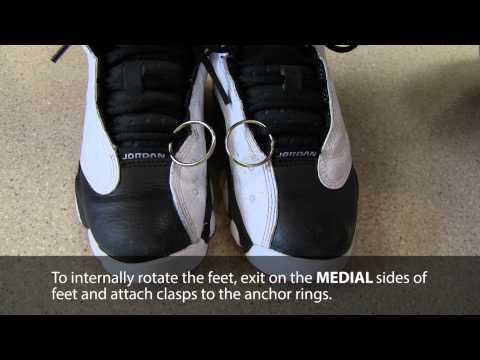 This instructional video provides tips to determine if your Fast Fit shoe insert is too small. Instructions for how to apply a toe rise pad to your custom DAFO. Instructions for how to apply the toe rise pad to your JumpStart device. Instructions for how to create your own casting pillow. Our electronic Master Packet of order forms can really save you time. Watch this quick video tutorial to find out how. Guidelines for how to troubleshoot and correct common DAFO fit problems. Instructions and tips for how to don the DAFO 9 Softy, our night-stretching brace. Here's an introduction to the newest addition to the JumpStart line of orthoses, the Softback. Learn about how it's designed, who it's intended for, and how it helps. Here's an introduction to the newest addition to the Fast Fit line of shoe inserts, the Bug. Learn about how it's designed, who it's intended for, and how it helps. 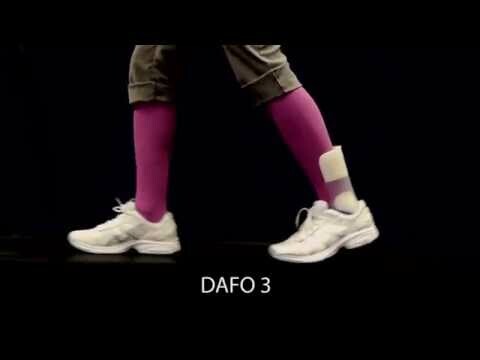 This video demonstrates how the leg and ankle move in the DAFO 3 as compared to the DAFO 2. Both braces are designed to block excess plantarflexion which can present as toe walking or knee hyperextension. 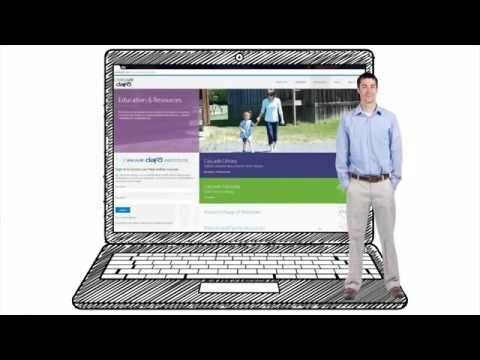 This video takes you on a quick tour of Cascade Dafo's online courses giving you a preview of the courses and how easy it is to log-in and get started.